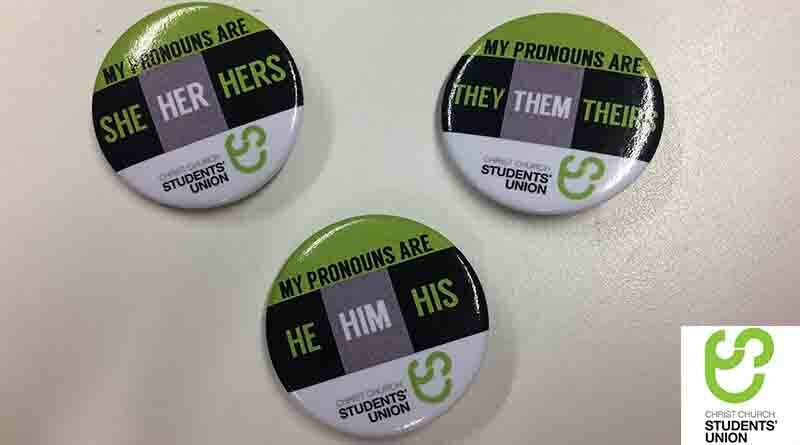 Pronoun badges introduced at Canterbury Christ Church have been a flying success, according to the Students’ Union. A campaign that was introduced last month gave students in Canterbury the option to be identified by whatever pronoun they feel most comfortable. But the campaign has faced criticism and complaints that nobody should have to be identified or labelled as the issue of misgendering continues to be tackled. 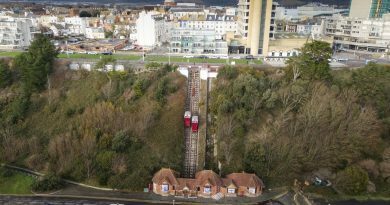 Jamie Harris, President of Wellbeing at CCCU, believes the badges which say “Hers”, “His” and “Theirs” have avoided incorrect assumptions about a person’s gender and have proven to be a great addition to the Christ Church community. He said: “I decided to implement gender pronoun badges to the university after seeing other universities implementing the idea. I introduced them to show support for transgender and non-binary students within the university. “I thought it is important that we offer these badges so that we can normalise the sharing of pronouns and everyone can be referred to without the generic grouping of trans and non-binary people. “We are doing this to show support for our trans and non-binary students as well as raising the awareness of how we can be more inclusive around campus. 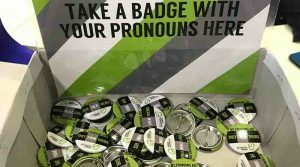 “We are not forcing students to take one, however, if desired students can collect a free badge with a gender pronoun of their choice at the Christ Church Students’ Union reception. Jamie Harris’s pronoun badges have arrived and they are now available to pick up from the Students’ Union reception at St George’s Centre. Get yours now! UCL and The University of Edinburgh are just two of the other universities alongside Christ Church who have introduced the gender pronoun badges as of 2018. With several Student Unions releasing gender pronoun badges to prevent the misgendering of trans and non-binary students, we asked UCL students what they thought of them. What do you think? Reactions towards the badges were mixed but most students see them as a positive change. Christ Church student Jake Gilbert said: “Whilst I don’t feel I need a badge to highlight my identity I can see how these badges can help people around university. “I feel that gender pronoun badges are a great idea to allow for people to be referred to without the generic grouping of trans and non-binary people. It is also a great way to be inclusive around university. This way misgendering can be tackled. We shouldn’t assume someone’s gender identity from how they look. Not only have students expressed their individual use and support of the campaign, but the LGBT society at Canterbury Christ Church has also showed their support. Caelan McDonnell, president of the LGBTQ+ society at CCCU, said: “I’m really glad that our SU has introduced pronoun badges. I think it’s a really good way for the SU to show it’s support for Trans and Non-binary students.